this way, i just have to tame my bangs (which most of the time doesn´t prove easy either). anyway, back to the post´s title. this outfit is missin something. or better, my life is missin something. i have been obsessing about this for soo long now. if only i have 695 pounds lying here somewhere! if i am able to control myself and buy this pretty little thing someday, i promise you it will be in every single blog post. every. single. blog. post. soon you´ll be mine. mark my words. forget rent. forget food. forget clothes. Du siehst so fantastisch aus, wie immer! wish i can wear leather shorts here too. Dang impyerno ang init ngayun dito. Yesterday am having hot flashes. Thought i was dying. Grabe. you go get the bag. It's beautiful. This bag is very nice and i love your shoes ! faulous outfit! tweed and leather mixed togehter look amazing. And the bag is just perfect. amazing bag too - great purchase. love this outfit so much - i absolutely adore the way you combined the classy jacket with rather rockin' pants. absolutely stunning! ich brauch nichts dazu sagen, oder? Wish I had the money to buy pretty stuff too, instead of H&M all the time. I love the outfit and this bag is completely delish! love your shorts! and oh yeah. WHO DOESNT WANT THE ALEXA. amazing top and jacket ! love your tights ! love it! i think my fav part are the studded oxfords. 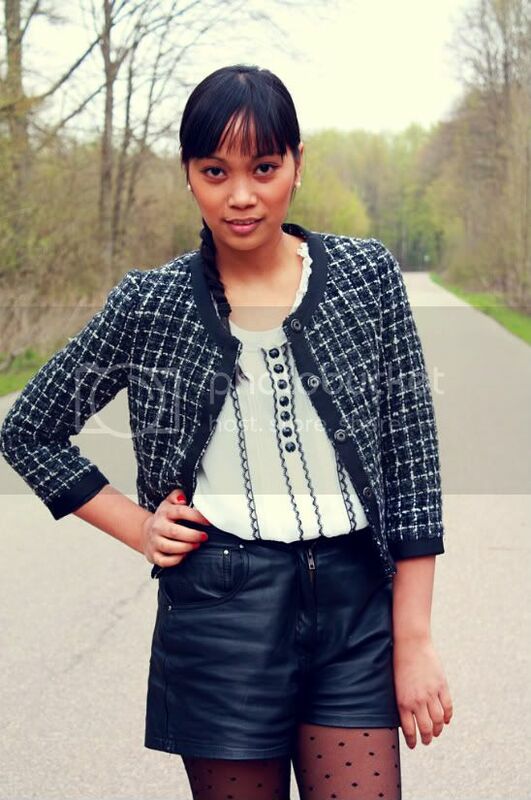 im really digging the classy jacket with the leather shorts! Lovin this channel look... You can pull anything off. 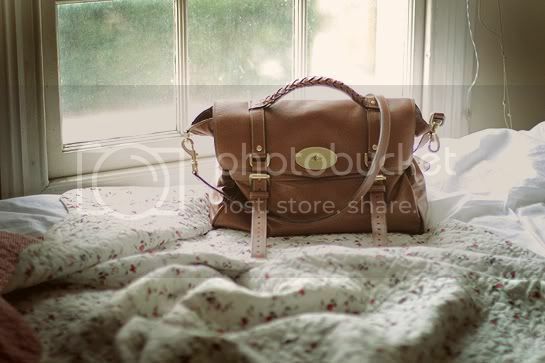 I also am in love with the Alexa bag but unfortunately I cannot afford one!! And that bag...wow...I want it too! Tolles oufit:) Die mulberry alexa ist wirklich schön! the outfit is so lovely! like the leather shorts! I am also obsessed with this bag. It's amazing. Gorgeous jacket. The shorts are lovely! And I agree about the bag...it's marvellous!